Despite its rich natural resources, Zimbabwe’s economy has been in steep decline during the past decade. Unemployment is estimated to be as high as 95 percent, and about 1.7 million Zimbabweans lack ready, reliable access to food. But the country is taking steps toward a brighter future. TechnoServe is working with entrepreneurial men and women in Zimbabwe to capitalize on this momentum and promote sustainable development. By assisting medium-sized agricultural businesses, we hope to create new jobs and income opportunities for small-scale farmers, demonstrating a new way forward for Zimbabwe’s agriculture industry. Access to finance is an obstacle to entrepreneurship, particularly in the agricultural sector in Africa. The African Agriculture Fund (AAF), a private equity fund, was created to help increase investment in agriculture and agribusiness in the region with the ultimate objective of increasing food security. TechnoServe serves as the implementing agency of the Technical Assistance Facility (TAF), which provides technical assistance to the portfolio companies invested in by the AAF. 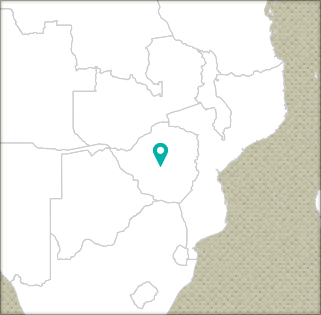 The TAF is funded primarily by the European Union and managed by IFAD. As of 2016 the TAF has funded 32 projects with 10 portfolio companies across Africa and supported five SMEs with their growth strategies. TAF has committed €3.6m and has €3.4m remaining for projects in the pipeline. TechnoServe, with funding from the European Union, is researching programming to help enable the European Commission to achieve the goal of helping to address core issues currently faced by agricultural industry players and poor households in Zimbabwe, as well as inform future thinking and program design.The three-year project, which began in 2013, has conducted research on three categories including agricultural related research, entrepreneurship research, and cross-cutting topics such as access to capital and assets and gender. Access to information can be a key component to increasing agricultural productivity and incomes. TechnoServe worked to introduce mobile phone-based solutions to meet demand from farmers, private sector agribusinesses as well as the development community for information and other value added services. In partnership with Esoko, Africa’s largest mobile agriculture platform with operations in 17 countries, and Mubatsiri, Zimbabwe’s Esoko reseller, and funding from the Ford Foundation, TechnoServe has set up a live platform that provides market information to farmers and allows organizations to interact and exchange information with value chain actors. At the completion of the project, it had managed to reach over 50,000 farmers with weather alerts, agronomic tips, market prices and other information. TechnoServe also helped to facilitate an agreement between Mubatsiri, Esoko and the country’s largest mobile network operator -- Econet-- to help drive Mubatsiri’s mobile agriculture business. This has allowed them to provide horticultural content for Econet’s EcoFarmer platform. Work has also gone into the development of Mubatsiri’s strategic, finance and risk management solutions, as a mobile agriculture business. Since 2011, TechnoServe has managed Agro Initiative Zimbabwe, a grant facility funded by the Department for International Development, which operates as a business competition to support sustainable innovative ideas in agriculture through monetary awards and technical assistance. The program is targeted at existing small to medium-sized businesses that have high potential to further develop the agricultural sector in the country. Since its inception the program has worked with over 40 businesses, transforming the lives of more than 54,000 smallholder farmers. The program has created over 8,500 direct jobs and out-grower opportunities. In 2014, the program was awarded a two year extension, which allowed the program to expand the client pool from 25 to 46 clients ranging from start-ups to larger firms. Through the extension, the program attracted more innovative ideas, which are being tested to assess their viability. Client's financial management systems are being strengthened, with women's participation in business and at farmer level being encouraged. The program has proven very successful, scoring highest on efficiency and value for money in an external review of five grant facilities in DFID’s Pro Poor Growth portfolio. 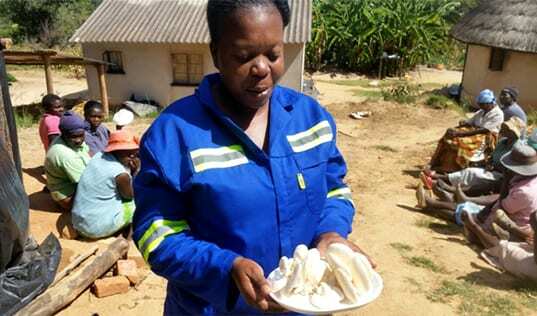 In Zimbabwe, this woman entrepreneur is breaking down gender barriers by building her mushroom business with an inclusive sourcing strategy and providing gender training to men and women farmers in her supply chain. Former volunteer consultant Sara Andrews chats with us about her time in Zimbabwe and the company it inspired, Bumbleroot. Brighton Makuvaza is the administrator of TechnoServe’s Agro Innovation Zimbabwe business plan competition in Harare, Zimbabwe. In that role, Brighton has helped coordinate every aspect of the program. The experience has shown him the promise of the agricultural sector to change lives in poor areas of Zimbabwe.